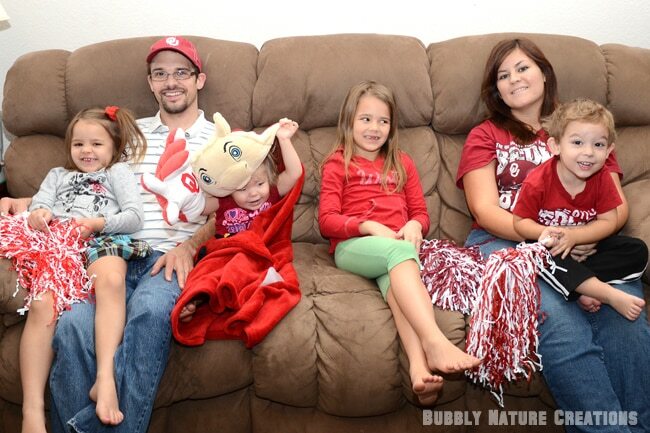 We are all die hard Sooner fans in my family. My dad is the biggest fan of all. He even has a theory that if he is not wearing an OU T-shirt during a game that the team will lose. I’m still not convinced that the fate of the team is dependent on my dad, but we sure have fun joking about that superstition! We also have fun watching the games together and having homegating parties! 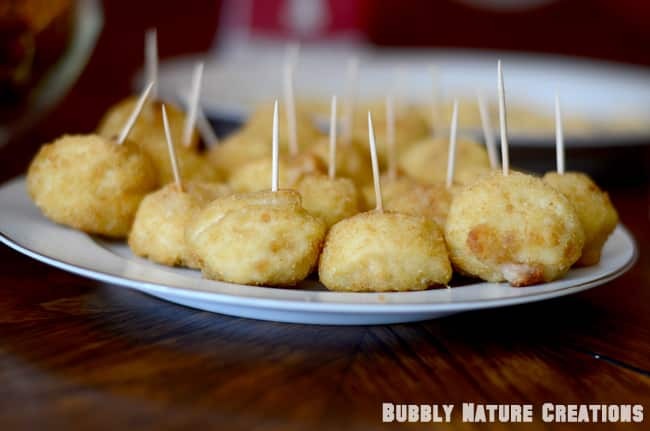 Here is a re-cap of our latest Homegating party! 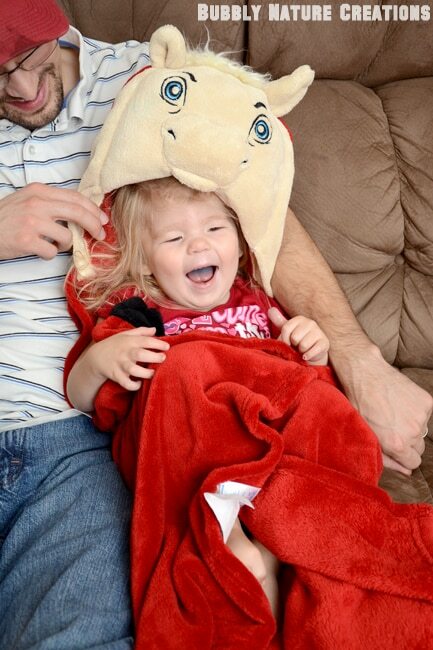 We headed to Walmart to pick up all of our party supplies and while searching for OU items I found this cute MascotWear Huggable Hooded Blanket. I just knew my kids would love it now that it is getting colder outside! You can see the rest of my shopping trip on Google Plus! 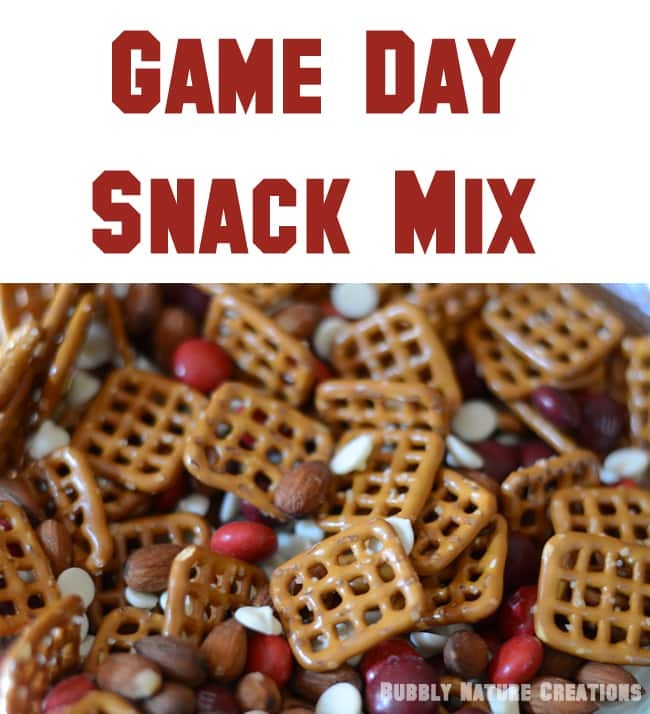 First up is the Gameday Snack Mix! It is a blend of OU Team Colored M&M’s (you can use any color combo for your team), Pretzels, Almonds (I thought these mimicked little footballs), and white chocolate chips! This was a tasty mix of salty and sweet! 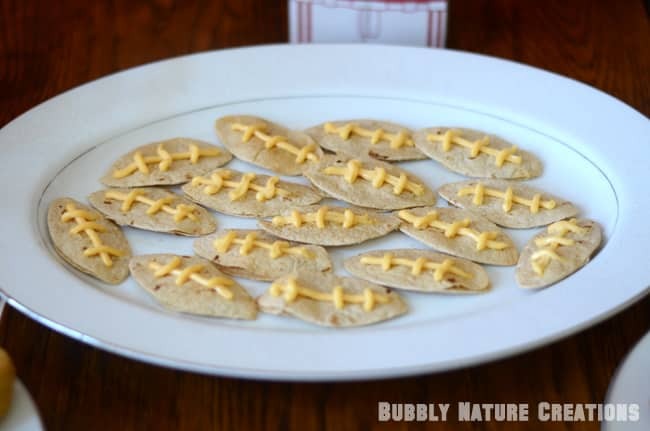 I also made these Football Tortilla Snacks. To make these I cut the tortillas with a football shaped cookie cutter and sprayed them with a little olive oil. Next I sprinkled a little garlic powder before putting them in the oven on 350 for about 7 minutes. Once they were cool I decorated them like footballs with the spray cheese. Easy and fun! 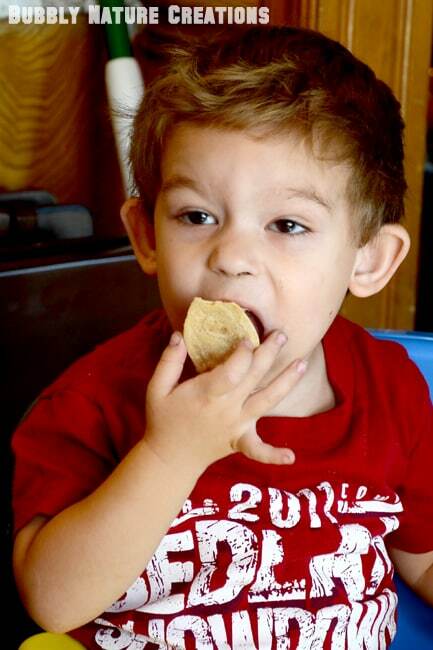 My nephew was really enjoying his Football Tortilla Snacks! 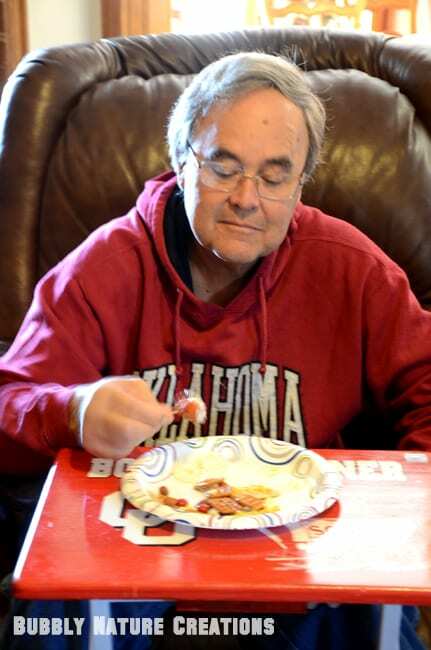 Here is my dad enjoying the snacks with his OU sweatshirt and folding table of course!!! 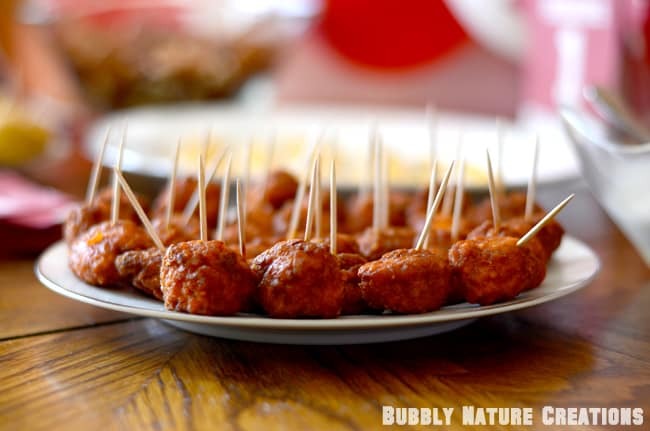 The Hot Wing bites were were an easy treat that everyone loved! We keep it simple so that we can spend more of our time watching the game! 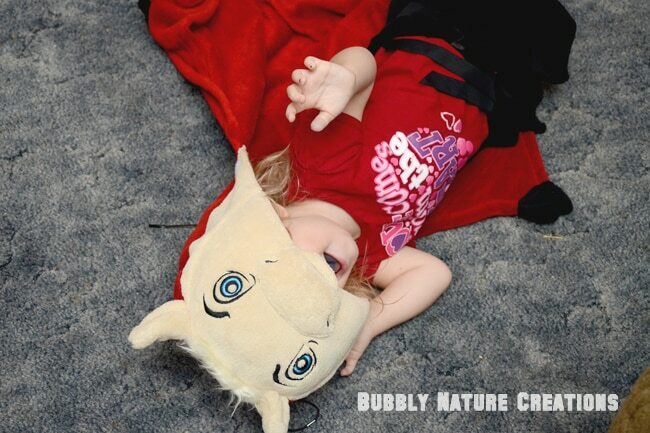 Here is a pic of the MascotWear Huggable Hooded Blanket we got! 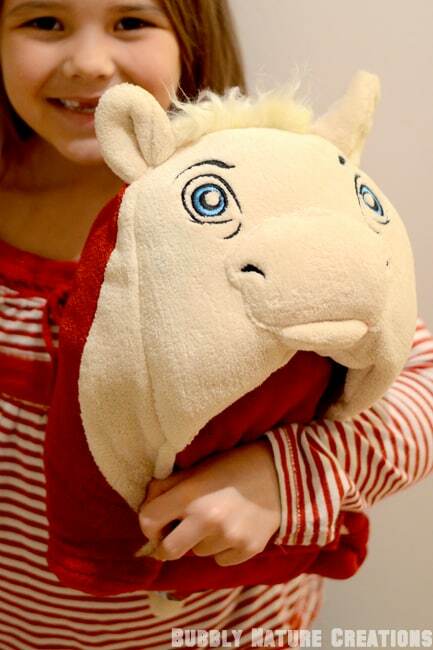 I love how it easily folds up into a cute stuffed animal. It is so easy to carry it this way! The kids love carrying it around. One battle in the house that we always have (besides getting grumpy at the refs for a bad call) is whether it is too hot or too cold in the house. The little ones almost always say it is too cold when we open up the back door. 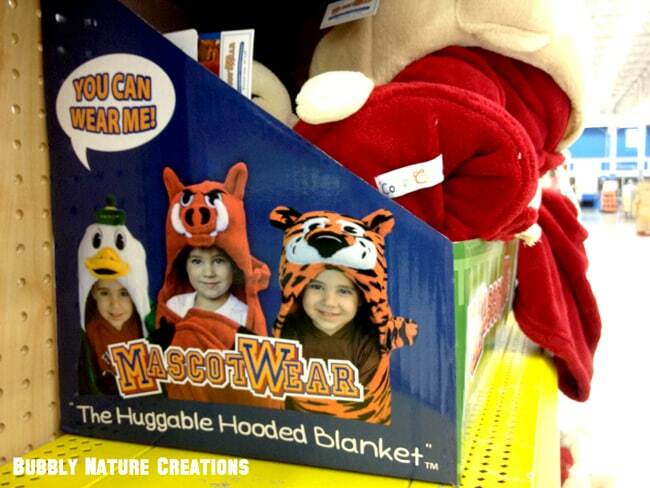 That is where the Huggable Hooded Blanket came in handy. This time we had our two year old wear it and she never complained of the cold! 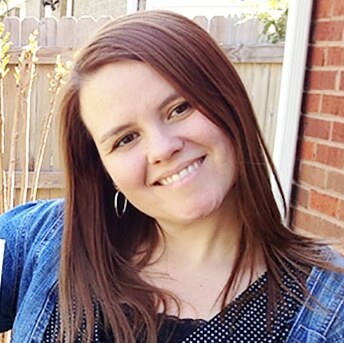 Of course it is also perfect for tailgating outside too… perfect to carry around and wear! Now we just need 3 more! 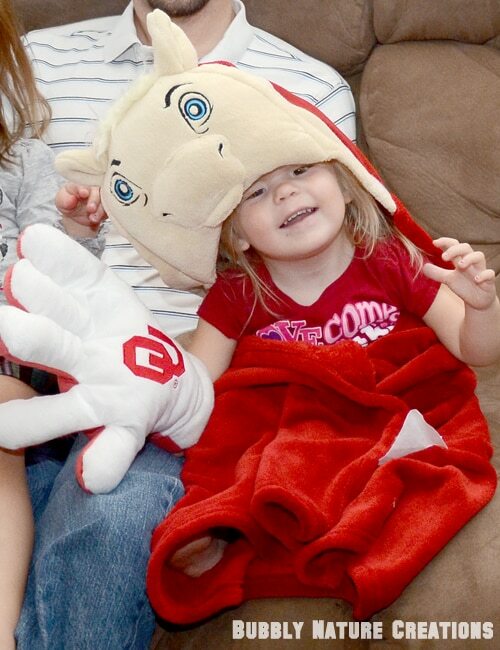 My dad may have to compete with his granddaughter on who is the biggest OU fan! She sure looks like she could be here! Touchdown OU and one happy kid!!! 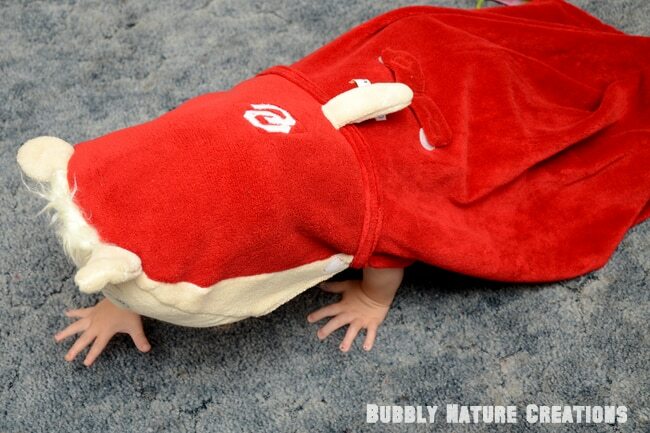 She had fun getting on the floor and showing us her best “Sooner horse” impression. We all cracked up so much! There are not many things better than belly laughs! Especially belly laughs and a big OU victory over Iowa State! Woo Hoo! 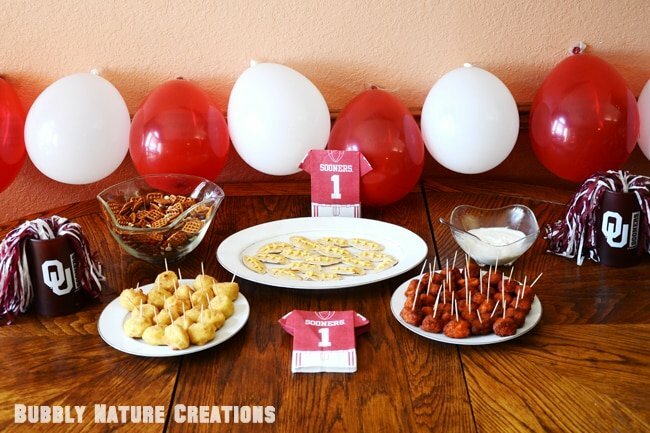 We thoroughly love our game day homegating parties… win or lose the OU Sooners are our team! 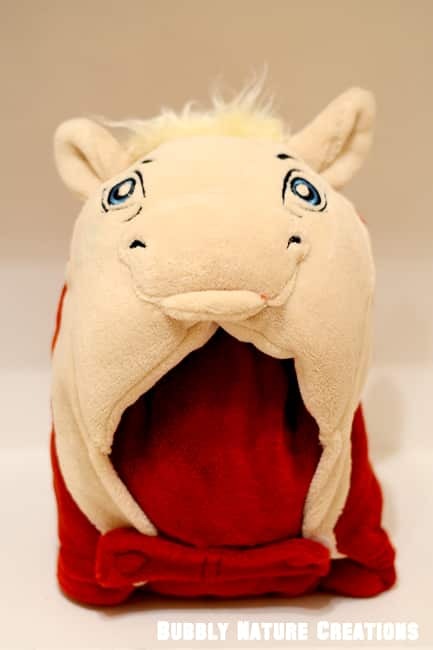 For more info on the Huggable Hooded Blanket follow the MascotWear website, MascotWear on facebook and MascotWear on Twitter! Looks like you had a great time and the treats sound delicious! The pictures of your little one are too cute! Adorable! so cute!!!! I need one of those!